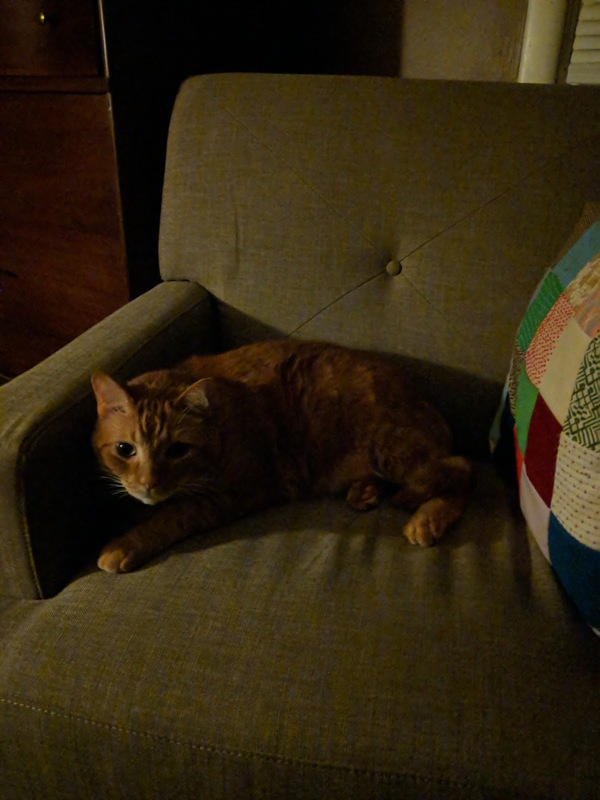 The cat is really enjoying a new chair we got last week for the bedroom. I knew sooner or later he'd be sleeping on it. Honestly I'm surprised it took him four days.